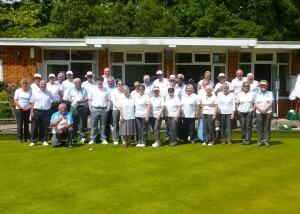 Farnborough Bowling Club is affiliated to. Founded by local residents in 1947 on, what used to be, a disused rubbish pit. Regular maintenance and upkeep of the green by our members has produced one of the best greens in the area. The clubhouse is also considered to be one of the finest equipped in the area with a bar, changing rooms and modern kitchen, toilets and changing rooms. New members are always welcome. No experience is necessary, as tuition by a qualified coach is available and encouraged. This tuition is free of charge. Bowls are also provided for those who want to try various makes before buying. 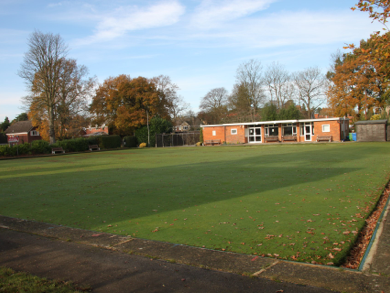 Or if you just want to give bowls a try without committing yourself, come and visit us on Monday afternoons, where in our Monday club, non-members are always welcome. 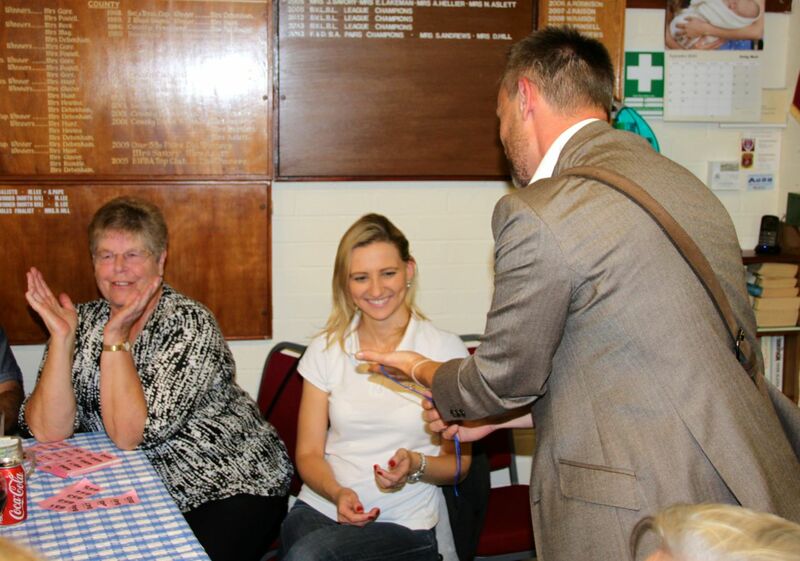 See our Monday club page. From April to September each year we play a full programme of friendly matches with neighbouring clubs, mostly at weekends, but some during the week. The men play on Tuesday evenings in the Aldershot & District league, whilst the ladies play of Friday evenings in the Blackwater Valley league. Mixed teams play on Wednesday evenings in the Farnham & District league, and on Thursday afternoons in the Stan Hardman League. In addition, Club Competitions are held throughout the year and for the more serious players, County and District Competitions can also be entered. Various social activities and fun days take place throughout the year, theses include walks, entertainment, darts and skittles in the closed season. An annual presentation dinner happens each October. A special event for Christmas is usually organised. We try to support a couple of charities at these events and throughout the year.